(8 reviews) Write a review! 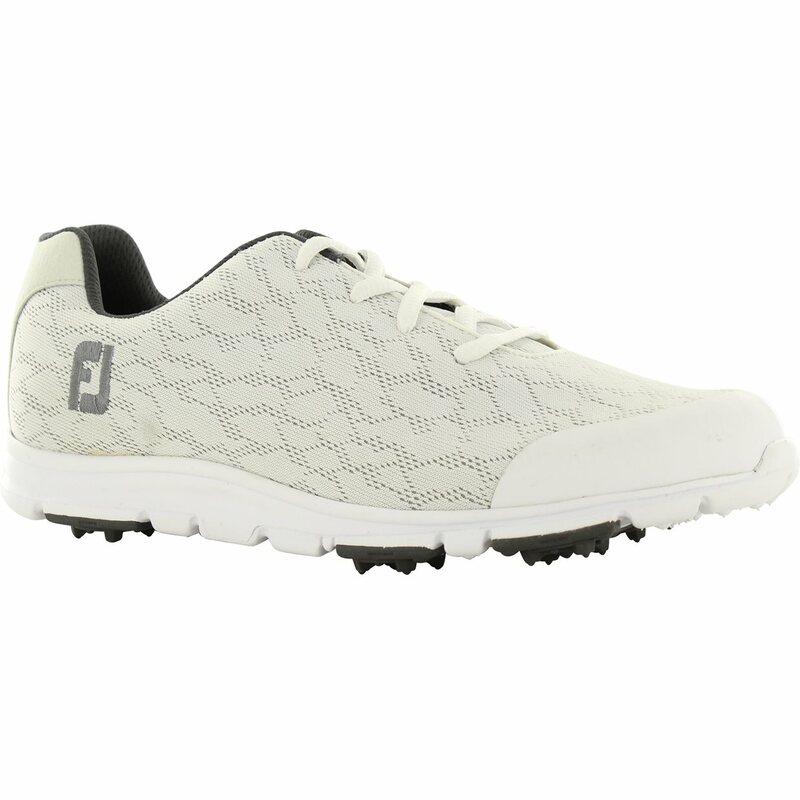 The FootJoy Ladies enJoy spikeless golf shoe has an ultra-lightweight, SoftLite™ engineered mesh construction which delivers a cool breathable shoe. 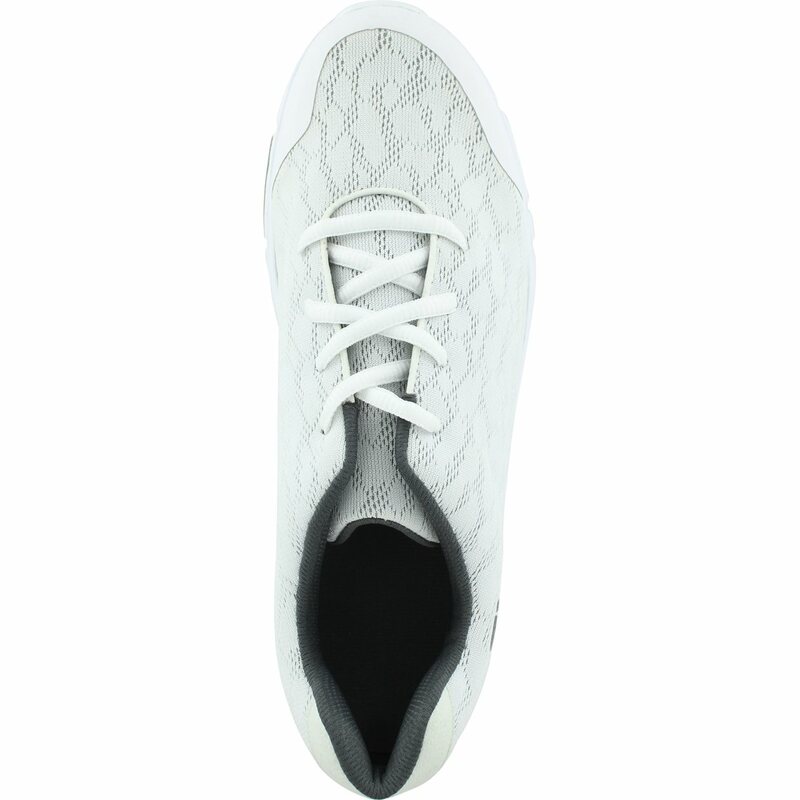 This shoe features the innovative UberLite™ soft under foot foam cushioning that provides maximum comfort with every step. 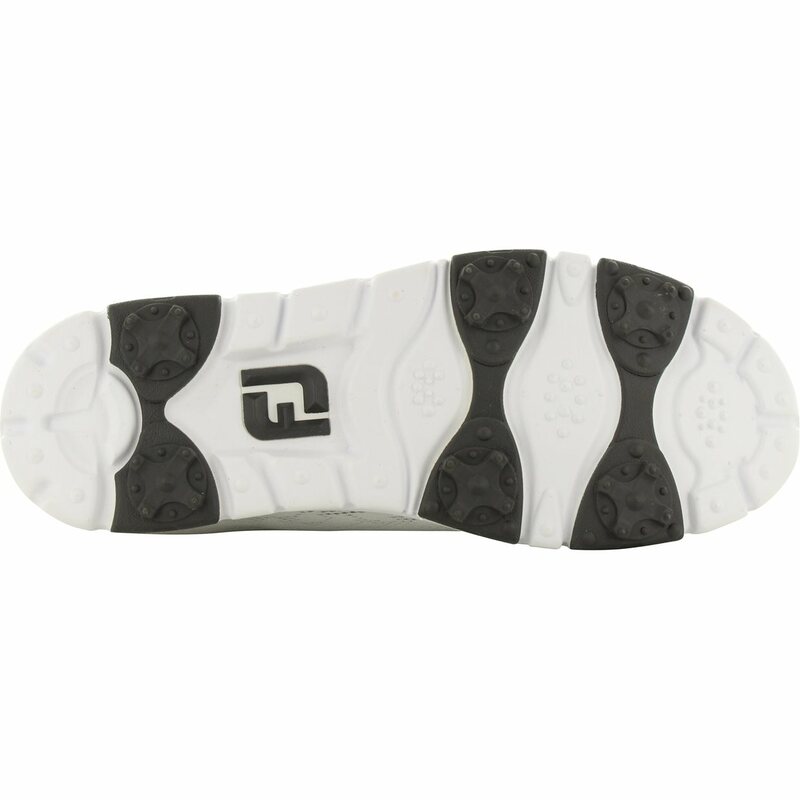 The FJ enJoy spikeless golf shoe has EverFresh™ organic odor-control lining and is machine washable to ensure a fresh and clean shoe environment. This shoe is built on the Performance Last which provides flexibility and stability and the traction inserts ensures secure foot ground interaction and a slip-free round. Very lightweight. Will have to see about durability... skeptical. One can never go wrong with this brand -- always well made. And great choice of colors. These fit her great and she said they are comfortable. They were the right size and she likes the way they look. If needed again, would not hesitate to buy these again. I purchased the black shoe and was very happy with how it looked as well as the comfort. The contrast between between the neon lace and black shoe was appealing. I wear a 9.5 and this shoe was true to size and felt like a comfortable sneaker. Looking forward to wearing them on the course. I had another pair of these that I loved, but finally wore out. I was so happy to find these at such a good deal in my size and variety of colors. They are so comfortable and perfect for the hot weather!! !